The people's smartphone. 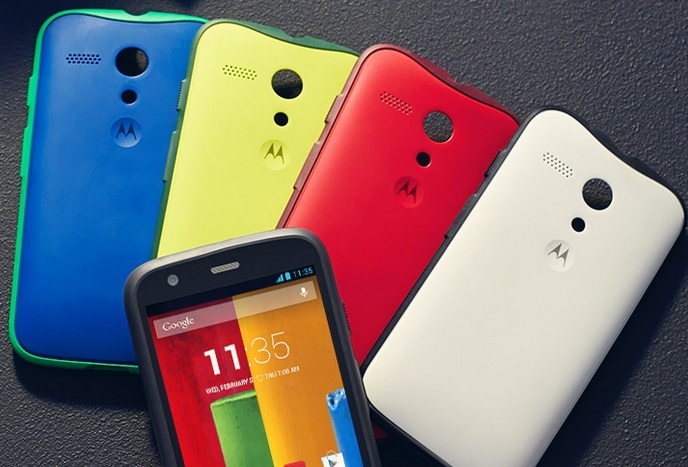 Google dubs its latest highlight "Moto G" that is sold by the subsidiary Motorola. The smartphone fuses high-performance hardware with a reasonable price. We checked whether this strategy adds up. 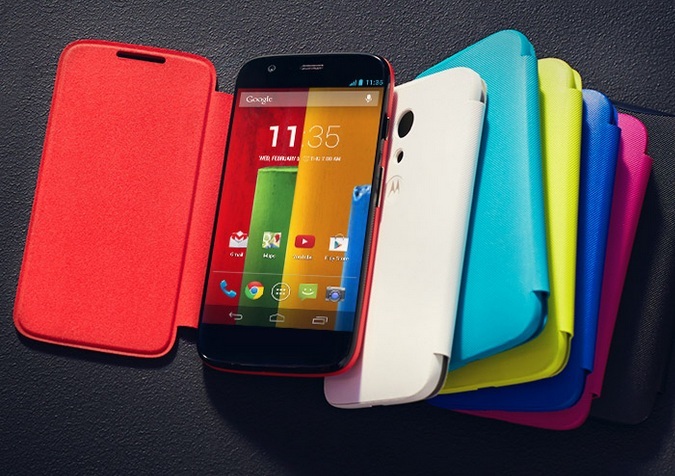 The new Motorola Moto G (2014) has a larger screen, better cameras and front facing stereo speakers. Pretty much everything else remains the same so there are only a few upgrades here and the dual-SIM feature will be only useful to a handful of users. It's not a must have upgrade if you have the original Moto G and if you need 4G support then the Moto G2 doesn't offer it. Motorola has seemingly found success in the entry-level market, and it obviously shows with its Moto G smartphones. Before its introduction, owning a decent performing basic smartphone meant forking over $200 to pick up – so the feeling felt rewarding when we found out that the original model would bear an easy-to-pay price of $179.99. Of course, Motorola realized this advantage and has once again graced its new Moto G with the same, lovely price point. Smartphone prices are falling fast, reaching the point where you may be thinking of buying your next one outright and topping up monthly with PAYG. Budget smartphones are the sweetspot, but you'll need to choose carefully if you're not going to end up lumbered with rapidly obsolescent technology. 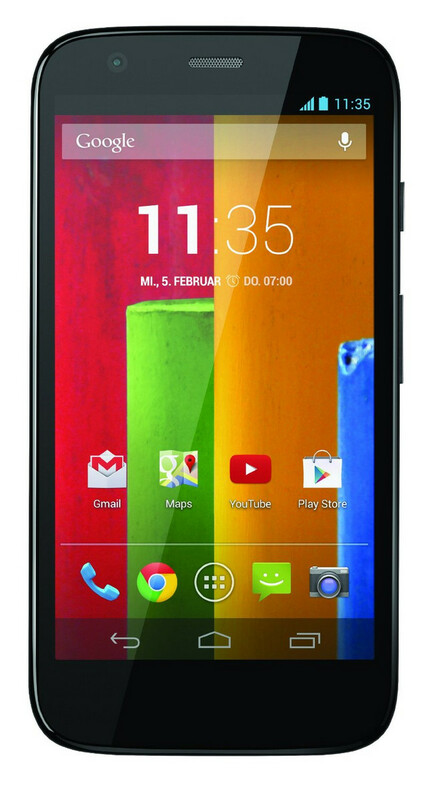 The brand new Moto G LTE at around £150 looks like a pretty good bet. Motorola Moto G 4G is definitely a phone many are looking forward to. It is the upgrade people wanted and Motorola delivered. The very popular Moto G was criticized about its lack of memory expansion slot and not so about the missing LTE connectivity. Well, here it is - the Moto G 4G with a microSD slot and LTE support. Motorola even managed to sneak a gyro sensor, as well. The rest of the hardware is pretty much identical to the Moto G.
Now that Motorola has launched its Moto G 4G, users will be able to choose between the 3G and the new 4G version. It is an upgrade to its existing 3G version -- a powerful Android smartphone which has already attracted a great deal of attention because of its performance and value for money and which has already become the phone of choice to many who have been deterred by the high prices of other smartphones. Despite being cheaper we don't think the Nokia Lumia 530 has what it takes to knock the Motorola Moto G from its budget smartphone throne. It has a lower hardware specs across the board and even though Windows Phone 8.1 includes many improvements, Android is still superior. Motorola Moto E vs Moto G video review: What's the best budget smartphone? The Moto G has been PC Advisor's best budget smartphone for a while but Motorola has come along with an even cheaper model in the Moto E. Watch our Moto E vs Moto G video review to see how the two budget smartphones compare. See also: What's the best budget smartphone. The Motorola Moto G is the finest £135 phone ever made. It’s not perfect and it doesn’t have everything that a more expensive phone has, but at every turn Motorola seems to have made the right design decisions, while pushing the price down even further than penny-pinchers ZTE and Huawei have done in recent years. This is a phone that can do almost everything a Nexus 5 can – or at least everything 90 per cent of the population would want to do with the phone. If you want a sub-£150, or even sub-£200, phone, this is the one to go for. You might have come to our Motorola Moto G vs Motorola Moto E comparison review wondering why on earth we are comparing the specifications of two smartphones from the same company with a £60 price difference; clearly the more expensive Motorola Moto G is going to best the £89 Moto E on the hardware front. Actually, what we've learned is that although the Motorola Moto G has the better specification, the Moto E's hardware is sufficient that it will be a great fit for many users - and especially so when you consider that those in the market for a budget smartphone don't expect to get ultimate performance. The Motorola Moto E might not have as good a screen or as much storage or processing- and graphics power as the Moto G, nor its support for 4G and microSD expansion. But it does do everything most people will require, and at a staggeringly good price. It truly looks to be the best budget smartphone money can buy. Motorola's Moto G is the best budget smartphone around. At £135 it's got great build quality, an excellent screen, decent cameras and Android 4.3 Jelly Bean soon to be upgrade to 4.4 KitKat. It's only limited in the storage department and a lack of 4G support. The Moto G retails at Rs 12,499 for the 8GB and Rs 13,999 for the 16GB. This makes it the best, value-for-money offering under Rs 15,000 and quite possibly under Rs 20,000 as well. Sure, there are better spec’d handsets at this price but if given a choice, would you really pick an untested local brand over a seasoned OEM? Impressive specifications are no good if you don’t have regular software and firmware updates to add new features and iron out bugs. These two handsets are both great, evenly matched for storage and performance. We expect that no-one would be disappointed with the purchase of either. The Moto G is bigger and bulkier but has a bigger screen. You will, however, notice the extra money you have in your pocket after choosing the Moto G rather than the iPhone 5C. However, the iPhone 5C has a better camera and greater storage options. And we also prefer iOS to Android - although that is a subjective thing. Finally the iPhone's battery life is better. If you want a budget phone, the Moto G wins. But for all other users the iPhone 5C may well be the better bet. Here comes the controversy: I don't know why you would get the iPhone 5C. If cost is your concern, buy a true budget phone. If you want the best, get an iPhone 5S. Opting for the iPhone 5C is a penny pinching compromise of the worst kind. The Moto G is currently the only budget handset to run Kitkat. It offers snappy user experience, and excellent multimedia performance. Moreover, it’s a handy phone with a sharp HD IPS screen. On the other hand, its camera is disappointing. True, the phone is affordable, but then the Lumia 720 offers an excellent camera at a similar price. The bigger concern however is the call quality, which of course is the primary task of a cellphone. It's easily the best budget smartphone we've ever seen, redefining what we mean by that term. It's largely equivalent to the Sony Xperia SP, which is quicker in benchmarks, but not noticeably in day-to-day use, but has less battery life and only Android 4.1. It cost around £300 back in June 2013 when we reviewed it, and costs £220 today if you shop around. The Moto G knocks a huge £85 off that price SIM free. The Motorola Moto G single-handedly says goodbye to compromised, sluggish budget smartphone and potentially kills off the mid-range competition too. Simply put, if you're not buying a top-end handset, then the Moto G is the obvious choice. Pros: Fantastic performance. Excellent value for the money. Great display is complemented by an ergonomic design. Decent battery life. Cons: Internal storage tops out at 16 GB, with no microSD card slot option. Camera is unsuitable for indoor or low-light photography. The Moto G scores heavily in terms of style and substance, and our only major quibbles are the non-expandable storage and below-par camera performance. The 4.5-inch HD screen is wide, and yet the phone is small enough to hold in one hand and type easily with a thumb. Most of all, praise be, the Moto G is also extremely affordable. This phone is definitely aimed at price-conscious Indian smartphone buyers, and its array of colourful back shells will attract the style-conscious as well. Yes, it isn't perfect, but it isn't meant to compete against the likes of the Samsung Galaxy S4, HTC One or LG G2. At its price, we're willing to overlook its faults. A lot of manufacturers will be looking to bring out a smartphone quickly to match the Moto G but I suspect to get the same build quality will be hard. As most will know Motorola are now part of Google and that gives them huge clout in the purchasing department so to match the components from wherever will be difficult or more likely impossible. It is understandable that the Moto G gets a lot of interest from people who want a good and simple phone at a great price. The industrial design is simple and super-cute and I just wished that it was lighter. On the other hand, its shape feels very good in the hand and is comfortable to use. It is not too small or “big”. If you seek something more fancy at a great price, the Nexus 5 would be the next logical choice. Beyond that, a world of choice is available to you, but I would recommend looking at the LG G2 and the Galaxy Note 3. The Moto G hails the arrival of the budget smartphone which is powerful. The biggest USP of the handset is its price – £130. It also belongs to an exclusive club of handsets which are running the latest build of Android, and has a great display and battery. The lack of LTE and microSD support is disappointing, as is the Moto G’s limited onboard memory and squiffy camera. The screen isn't huge, there isn't much storage on the basic model and the camera is nothing to get excited about, but in every other respect this is the best value for money smartphone ever. It's well-built, with a high-quality display, fast enough not to bother even us, and has a good battery life. The Motorola Moto G single-handedly says goodbye to compromised, sluggish budget smartphone and potentially kills off the mid-range competition too. Simply put, if you're not buying a top-end handset, then the Moto G is the obvious choice. Motorola is back folks, it's official. It may not be the return I would have predicted - there's no flagship phone stuffed full of the latest tech - but arguably what the now Google-owned firm has done is even better. The Moto G is a top notch, low cost smartphone and I wholeheartedly recommend this as the best budget mobile currently on the market. I was genuinely impressed with the feature set on the Moto G, so if you're looking for a low cost phone you can stop searching - just go out and grab a Moto G right now. The Moto G is a nice piece of kit that should definitely appeal to those who object to payment the wallet squeezing prices asked by some high end kit. Whether it may have a similar effect on those who like to be seen as fashion conscious is another matter - brand name can outweigh price and value considerations. Personally I will be happy to be seen using a Moto G device. The Moto G is nothing short of a game-changer. It has completely destroyed every other mid-range phone in the market with its specs:value ratio and it deserves every single one of its five stars. There simply should be no other Android phone to consider, unless you're looking for a top-end flagship or if a camera is top of your list of priorities. WIRED: Amazing form factor and near-stock Android. Unmatched performance in its price range. Swappable back plates let you switch colors. TIRED: Camera software and hardware can’t keep up with the best. Grainy photos. No LTE. Only comes in 8GB and 16GB versions, with no way to expand storage. Contract commitment-phobes on a tight budget will be hard pressed to find a better deal than the Moto G. This smartphone offers smooth performance, good battery life and a crisp, 4.5-inch display in a $199 package. We also like having a clean Android build; there's a KitKat update on the way in January. This is the part of the review where I’m supposed to say that the Moto G is a good phone “for the price” as though it were an open-box item on a Best Buy shelf that was worth buying now that the price had been marked down. I don’t think that’s true. I think the Moto G is a fantastic $200 phone that another manufacturer would probably charge a great deal more for. Thus the Moto G creates quite an awesome entry in the Android history books, right out the gate. While we expected the Moto X to be that groundbreaking off-contract smartphone that everyone saw coming since early 2013, the Moto G is more than welcome to fill that space heading into 2014. This will certainly be a device to watch in the (believe it or not) emerging budget-minded smartphone market. Motorola leads the way with a device that’s far better than the sum of its price tag. If you're willing to go for a locked phone, even without a contract, you have broader options. The Nokia Lumia 520/521$89.99 at Amazon on AT&T, T-Mobile, and MetroPCS has a great build and UI for as little as $99, although it's slower than the G, still doesn't have LTE and isn't available unlocked in the U.S. For LTE phones, the $129 Huawei Vitria$109.99 at Best Buy on MetroPCS is worth looking at, although the G has a better screen and better built-in storage. We can only assume LG and Motorola were in the same room when they thought up the Moto G and the Nexus 5, and almost certainly someone from Google was in that room. Both are outstanding examples of what happens when instead of trying to cram everything in without thinking of the consequences, you sit down and list all the features people actually need from a modern smartphone and then make sure they do those proficiently and relative to the amount they’ll be used. The Motorola Moto G, won't get gadget fans' heart's racing. There's no blistering fast power on offer, nor is there a huge pixel-packed screen or a Megapixel-saturated camera. What the G does offer though, is incredible value for money, and should be the go-to Android choice that tech-heads recommend to their friends this Christmas. It’s easier to list the Moto G’s failings, such as they are: a fixed battery, no 4G/LTE radio, no infrared transmitter and no storage expansion. That’s really it. In every other way – design, build, performance, software and capability – the Moto G is every bit as good as the likes of the Nexus 4 and Samsung Galaxy S3, both flagship Android devices this time last year that cost more than two and three times as much as the £135 G, respectively. We've said it in so many words before, but the price is what makes the Moto G a ridiculous proposition. It's just launched in the US in time for the holidays with an unlocked price of $179 for the 8GB model and $199 for the 16GB version. Verizon, for one, has confirmed it will sell the G with prepaid plans starting early next year, while Canada's Telus will offer it for free on a two-year contract. After deciding not to launch the Moto X in the UK, Motorola has brought us the budget priced Moto G smartphone. The Moto G starts at an attractive price of just £135 but it doesn't look or feel like a phone this cheap. It isn't massively thin or light, but the handset sits nicely in the hand and is easy to operate one-handed. Motorola is back folks, it's official. It may not be the return we would have predicted - there's no flagship phone stuffed full of the latest tech - but arguably what the now Google-owned firm has done is even better. The Moto G is a top notch, low cost smartphone and we wholeheartedly recommend this as the best budget mobile currently on the market. We were genuinely impressed with the feature set on the Moto G, so if you're looking for a low cost phone you can stop searching - just go out and grab a Moto G right now. At first glance, the Motorola Moto G certainly looks like a good buy for people that haven't got hundreds of pounds to spend but still want a decent phone that will enable them to do most thing that you can do on the flaghship handsets. We were impressed by the screen, and speed, as well as the minimalist. Stay tuned for a full review. The Motorola Moto G is the finest £135 phone ever made. It’s not perfect and it doesn’t have everything that a more expensive phone has, but at every turn Motorola seems to have made the right design decisions, while pushing the price down even further than penny-pinchers ZTE and Huawei have done in recent years. The Motorola Moto G is one of the best phones of the year, and the first time we’ve seen a phone of this calibre launch at under £200 SIM-free. That it’s so much cheaper than £200 is a minor miracle. This phone deserves to sell by the bucketload. We're seriously impressed with the Moto G and are perplexed by how Motorola's managed to load the smartphone with such high-end components while keeping its price below £150. Starting at £135 the Moto G features a decent display, powerful quad-core Snapdragon 400 processor and runs using a close to untouched version of Google Android. This all adds up to mean the Moto G outperforms phones currently retailing for twice its price. For this reason in our mind the Moto G is the ideal choice for any business looking for a mass rollout Android handset, despite a few limitations such as low storage and no 4G support. Moto G vs Moto X comparison review: What's the best Motorola smartphone? The Moto X is coming to the UK and the Moto G is already available so you might be trying to decide which to buy. Well that's where we come in because we've compared the two Android smartphones in various categories to highlight how they differ. The Motorola Moto G was built to be an affordable device. Sporting looks that are similar to the high end Motorola Moto X, this device has a clean no fuss design with a 4.5 inch display with device dimensions that should facilitate one handed use. A decent enough LCD screen awaits users at 1280 x 720 pixels with 329 ppi. The screen is covered by hardy Gorilla Glass, surprising quality for this price point. Motorola haven't made too many UI changes to the stock Android 4.3 Jelly Bean, and the KitKat update is in the pipeline. Unlike Android devices from other companies, there will be no bloatware added to this device, which means less unnecessary apps that cannot be uninstalled. Under the hood is the quad-core 1.2 GHz Qualcomm Snapdragon 400 SoC, Adreno 305 GPU, which is paired with 1 GB of RAM. This should indicate great performance even for demanding games. The lower price of this device becomes justified in light of the 5 MP camera. It's certainly modest, and the 1.3 MP front facing camera is nothing but functional. No micro SD slot is available, and options range from 8 GB to 16 GB, so lack of storage space may pose an issue for some users. Another area where the Moto G takes a hit is in the fact that it carries a HSPA+ chip instead of an LTE chip. This means limited upload and download speeds which can't take full advantage of 4G networks. The 2070 mAh battery should provide a full day of use, but is not particularly spectacular. Despite the downsides mentioned this is a device which look like one of the best bargains available in the budget market on paper. 400 MSM8226: ARM Cortex-A7 Quad-Core with up to 1.2 GHz and manufactured in 28nm» Further information can be found in our Comparison of Mobile Processsors. 87.08%: This is a good rating above average. Nevertheless you should not forget, that 10-15% of all notebook-models get a better rating.